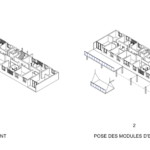 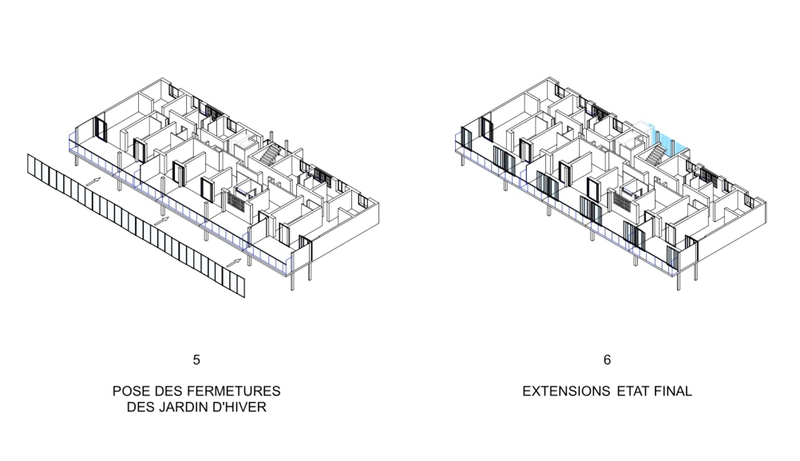 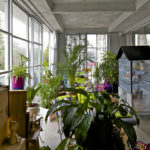 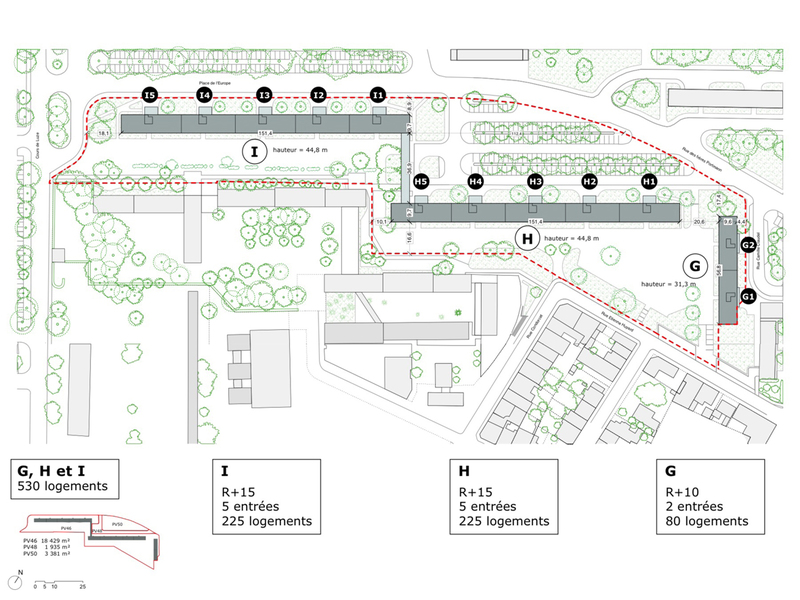 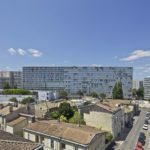 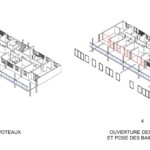 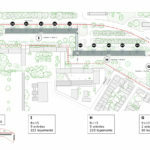 The project consists of the transformation of 3 inhabited social buildings, first phase of a renovation program of the 'Cité du Grand Parc' in Bordeaux. 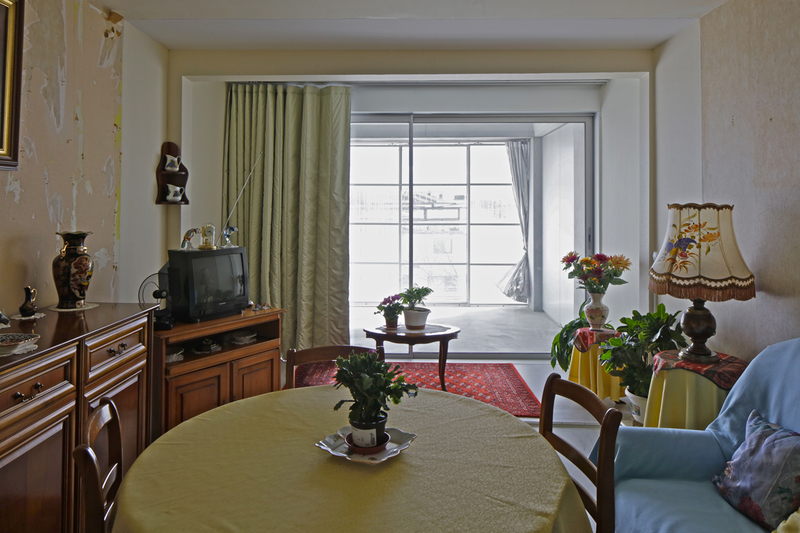 Built in the early 60's, the 3 buildings G, H and I, 10 to 15 floors high gather 530 dwellings and give a capacity of transforming into beautiful dwellings with redefined qualities and comfort. 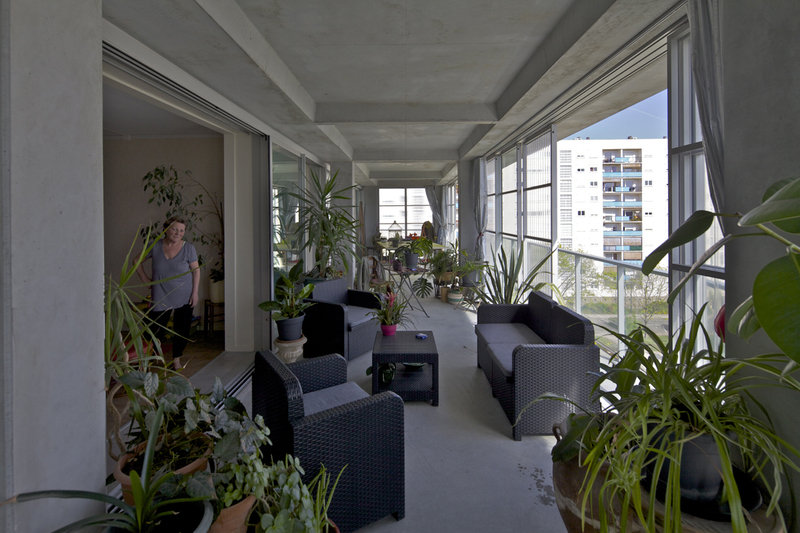 The addition of extended winter-gardens and balconies give the opportunity, for each apartment, to enjoy more natural light, more fluidity of use and more views. 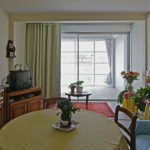 The apartments open on to large winter-gardens and balconies, and offer pleasant outdoor spaces, large enough to be fully used : 3,80m deep on the south facades of H and I building and the 2 facades of G building. 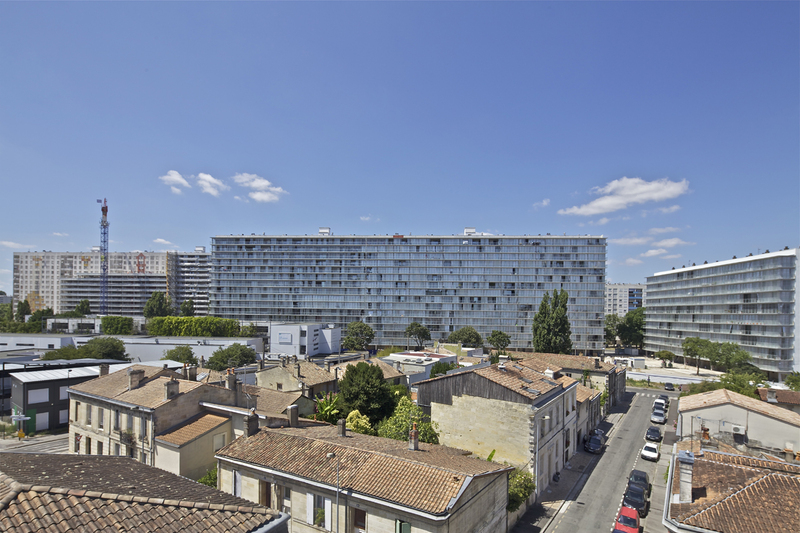 Through this project, the social housing, built heritage often criticized, shows the example of a relevant and economic transformation that produces – from an existing judged lacking in qualities and seen in a negative way – generous , pleasant and performing dwellings, that renew the typologies and the living conditions, comfort and pleasure, and improve the urban dwelling image. 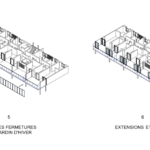 G,H, I blocks stand as a structure which host 530 different dwellings, as much stories of life of each inhabitants. 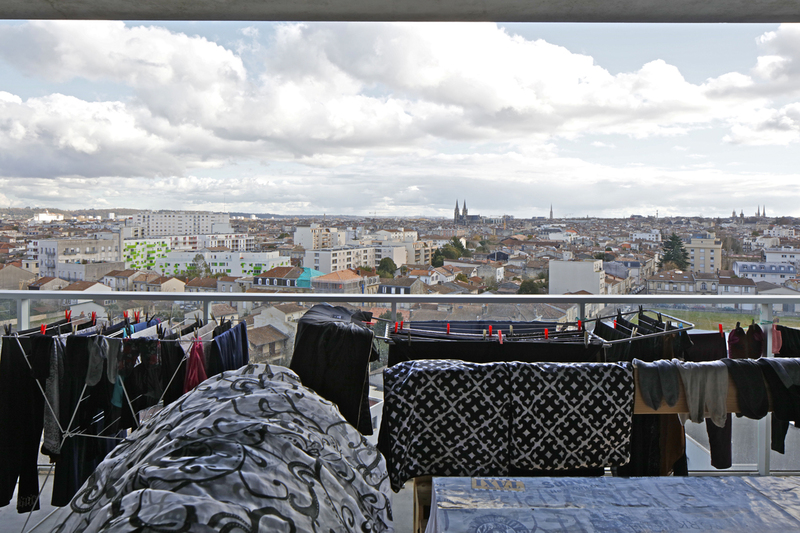 It is 530 times one personal place. 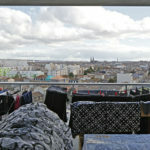 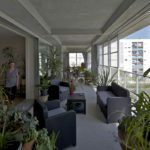 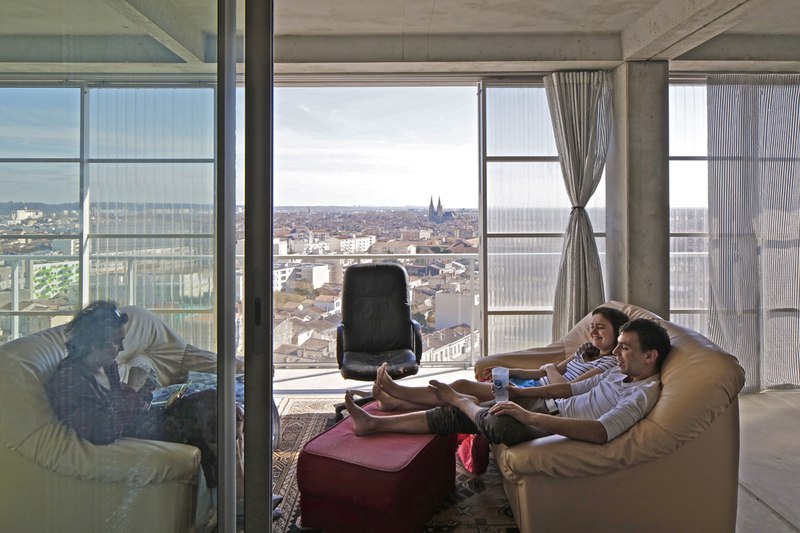 Each apartment is unique and offers an extraordinary view and exceptional living situation in Bordeaux. 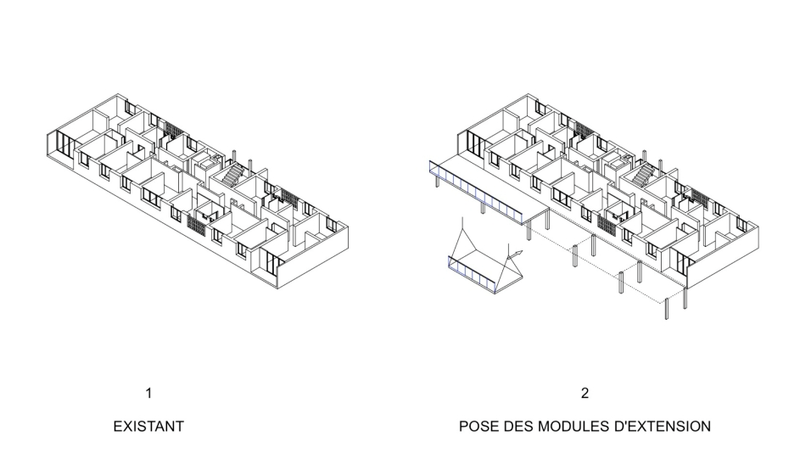 As the project focuses on offering the maximum space for each dwelling, it allows individuals to express themselves through their own living. 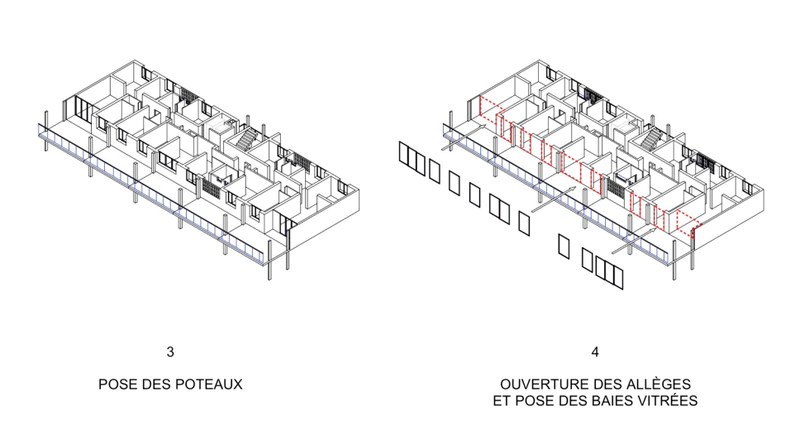 The project shows the diversity of the people by starting from the inside and pay attention to every details. 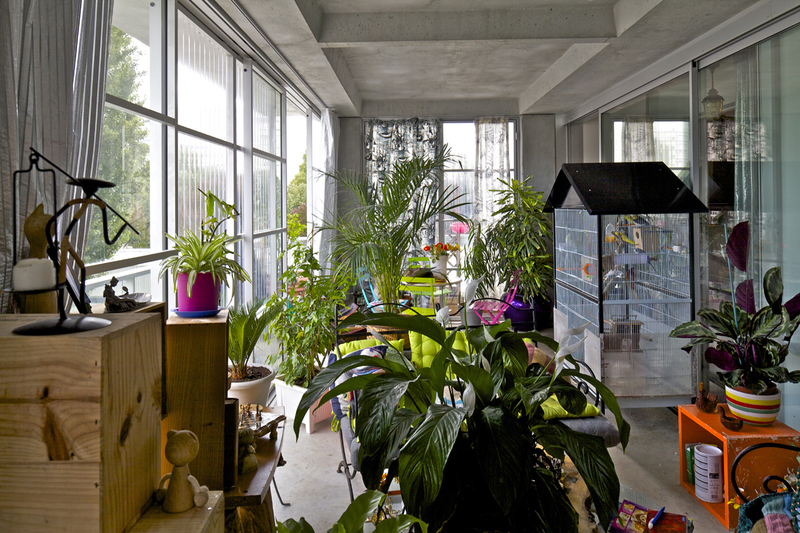 It means to make exception being the rule.